Soap is scented in a sugary lemon cookie fragrance. 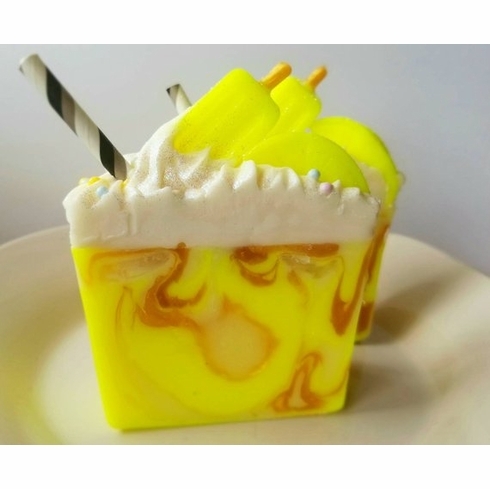 Soap is a glycerin base with yellow and gold swirls, decorated with piped cold process soap, a mini yellow soap popsicle, a soap lemon, a paper straw, sprinkles, and glitter. Weighs approximately 6 oz. Made with shea butter, olive oil, and coconut oil.